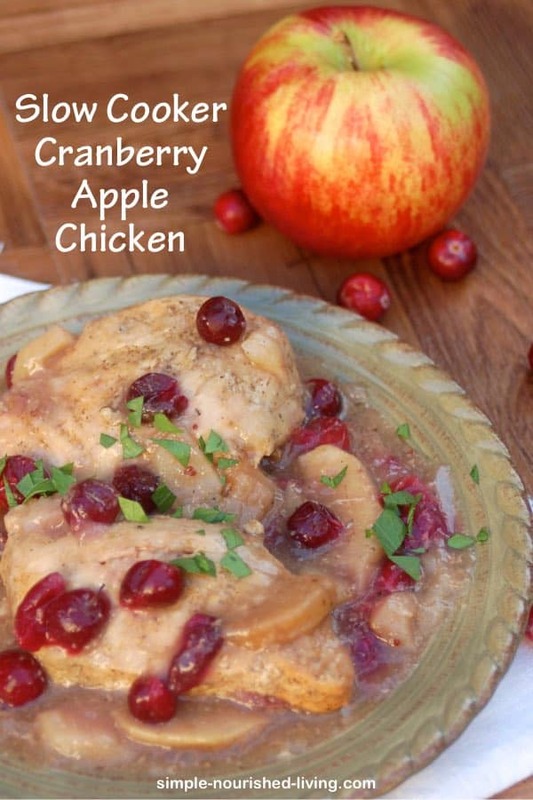 I’ve got a healthy slow cooker chicken recipe for you today – Easy Cranberry Apple Chicken. If you are a Weight Watcher, you can never have too many slow cooker chicken recipes, right? Boneless, skinless chicken breasts, simmered with apples, cranberries, and apple juice in the slow cooker until tender, this one pot wonder couldn’t be easier, more delicious, or more perfect for this busy time of year. I’m ashamed to admit that I first cooked up this dish last fall and then somehow managed to lose track of it until recently, when I was working to get my recipes organized. Do you struggle with staying organized too? I’m hoping to make more progress streamlining and simplifying my life in 2016! Interested in joining me? An instant hit last year, now that I’ve rediscovered this healthy slow cooker cranberry apple chicken, I can’t wait to make it again. Light, but satisfying and flavorful, this low calorie one-dish slow cooker cranberry apple chicken was an instant hit when I first made it last fall. Delicious served with wild rice, mashed potatoes or sweet potatoes and your favorite green vegetable for a satisfying meal. 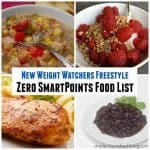 According to my calculations each serving has 190 calories, *4 Weight Watchers PointsPlus, *4 Weight Watchers SmartPoints, *2 Freestyle SmartPoints. 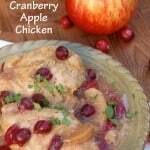 If you like this easy slow cooker recipe for cranberry apple chicken, be sure to check out my other Weight Watchers friendly recipes including Slow Cooker Chicken Teriyaki with Pineapple, Slow Cooker Cuban Citrus Chicken, Slow Cooker Chicken Marbella, Crock Pot Turkey & Garlic and Slow Cooker Chicken Thighs with Herbes de Provence & Beer. Boneless, skinless chicken breasts simmered with cranberries, apple and apple juice until tender. 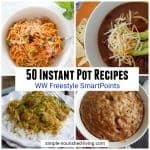 This simple and delicious slow cooker recipe has just 4 Weight Watchers SmartPoints! Season chicken breasts with salt and pepper and place in the slow cooker. Sprinkle with cranberries and apples. In a medium bowl, stir together the brown sugar, apple juice and tapioca and pour over the chicken and fruit. Cover and cook on LOW for 4 to 6 hours, or until the chicken is tender. 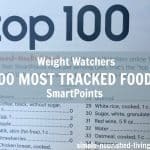 Previous Post: « Weight Watchers Weekly Meal Plan #61 – Now with SmartPoints! I am excited to try this recipe. I love cranberries and chicken. With sweet potatoes and green beans it will be like Thanksgiving! Thanks Julie! Hope you like it as much as we did! 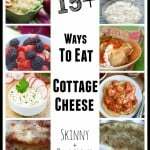 How essential is the tapioca to this recipe? I have all the other ingredients on hand. Hi Mandy, It’s not essential but does serve to make the sauce thicker. You could always thicken at the end by adding a slurry of cornstarch and water if you preferred. Hope this helps! Can I substitute another liquid instead of apple juice? Hi Brooke, Sure. That’s the great thing about cooking, you can substitute to make the recipes work for you and your tastes 🙂 Chicken or vegetables broth would be good choices. Hope this helps. Made this for dinner today. 5 mins of prep before work, served up the most delicious meal when we got home. Served it with new potatoes, broccoli and fine beans. Couldn’t source fresh or frozen cranberries so used dried instead, result = absolutely delicious dinner, the chicken was so succulent. 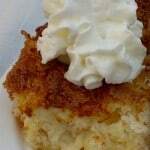 A recipe I will most certainly be making again. Thank you for this recipe. Hi Heather, glad you enjoyed it!! Do you think this could be made in an electric pressure cooker? 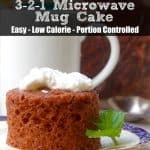 Sounds delicious but everything seems to burn in my slow cooker. Hi Alyse, I haven’t tried it in a pressure cooker, but I don’t see why not. If you do try it, please let us know how it turns out! Nutrition facts do not list sugars . What about the cranberries and brown sugar? This is so good! I made it yesterday and everyone loved it! Thank you so much!!! The recipe asks for tapioca. Do you mean the tapioca pudding mix? The recipe calls for tapioca. Does this mean tapioca pudding mix? I want to make this tomorrow for dinner. Hi Beverly, I use Kraft Minute Tapioca in the red, white and blue box. It’s is granulated and without sugar and acts as a thickener. Hope this helps. Made this last night and it was a hit! The only thing I had problems with is that the tapioca didn’t thicken the sauce, so I ended up adding cornstarch to get it a little thicker. Next time I make it, i might heat the apple juice and add the tapioca to ensure it dissolves to get a nice sauce. Can’t wait for the leftovers! What is serving size portion? 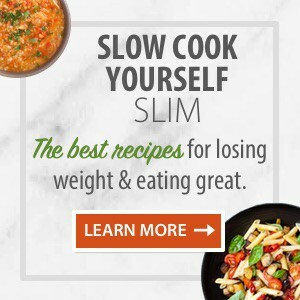 If I want to double recipe? ?